Baseball Oakland – Page 2 – Keep the A's in Oakland! So, there you have it. Manfred wants the A’s in Oakland and he sees no reason why A’s ownership isn’t acting fast to prep and build a new ballpark in Oakland right now. In January, Wolff said the A’s were “in the middle of a 6-to-8-month process” of investigating Oakland ballpark sites. Six months after that quote, Wolff and the A’s have made zero announcements about Oakland sites or if there’s been any progress on that. Are Wolff and Fisher actually studying new sites in Oakland? If not, why aren’t they? If yes, why the secrecy? And who’s in charge, exactly? A few months ago it was reported that Fisher had replaced Wolff in leading the Oakland ballpark study. But Manfred contradicted that last week, saying that Wolff remains the A’s ownership contact person. A’s fans, meanwhile, are frustrated. After 11 years of the Wolff-Fisher ownership providing little but murky dysfunction on the ballpark front, few optimists remain. 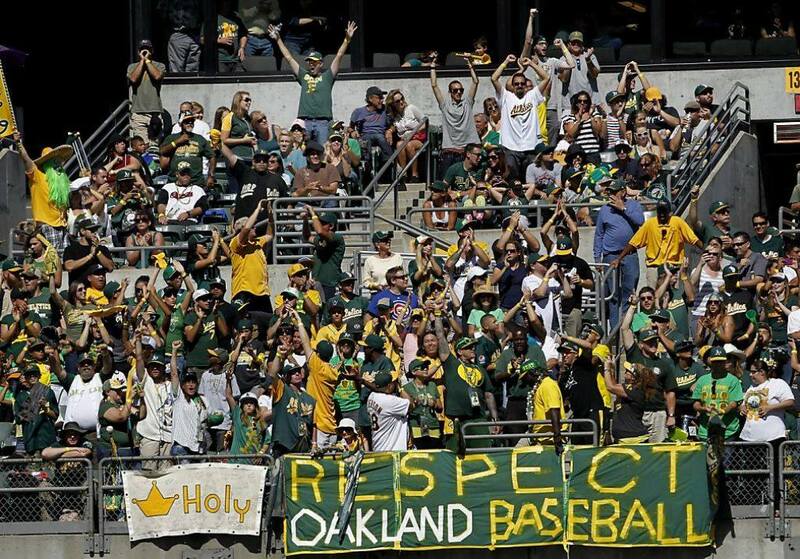 Most A’s fans have grown completely cynical and believe that nothing will change until A’s ownership changes. Lastly, what role does the Collective Bargaining Agreement play in all of this? When that CBA expires this December, will MLB owners remove the A’s from the revenue sharing dole and force Wolff and Fisher to actually work for their annual millions in profit? As usual in the Wolff era (since 2003), we are left with more questions than answers. April 4, 2016 Official RF/LF Opening Day Bleachers Tailgate Party! It’s that time of year again!!! A’s Opening Night at the Oakland Coliseum! The Green and Gold are back at it for their 49th season in our favorite city!! That means our annual Opening Day tailgate is back on full swing! You will not want miss this one! So join us April 4th at the north parking lot (Lot A) at the Oakland Coliseum. The tailgating starts at 12:30. With live music from the band… JAKOB DANGER at 3:45. Special thanks to everyone who made (and keep making) this event happen, Oaklandish, Overland Country Bar and Grille, Jakob Danger, BaseballOakland.com and the Green Stampede! THIS IS OAKLAND!! LET’S GO OAKLAND!!! That’s three strikes, and it looks like San Jose is out. The Supreme Court took a huge step toward making that official Thursday morning when it announced which appeals it would hear this year, and San Jose’s lawsuit against Major League Baseball was NOT on the list. To be fair, the court might add a few new cases by early next week, but that small list likely won’t include ‘San Jose v. MLB,’ legal expert Nathan Grow said Thursday on Twitter. It likely means that San Jose’s last, desperate attempt to help Lew Wolff move the A’s to the South Bay is over. Completely over. Kaput. Finito. As in … the final nail in the coffin for San Jose and Lew Wolff’s pipe dream to move there. If true, then only one question remains: Will A’s owners John Fisher and Lew Wolff finally start working with Oakland officials on a new baseball-only park in Oakland? If they do, it would be the first time the A’s owners gave Oakland a chance to do so during the 10 years they’ve owned the team. 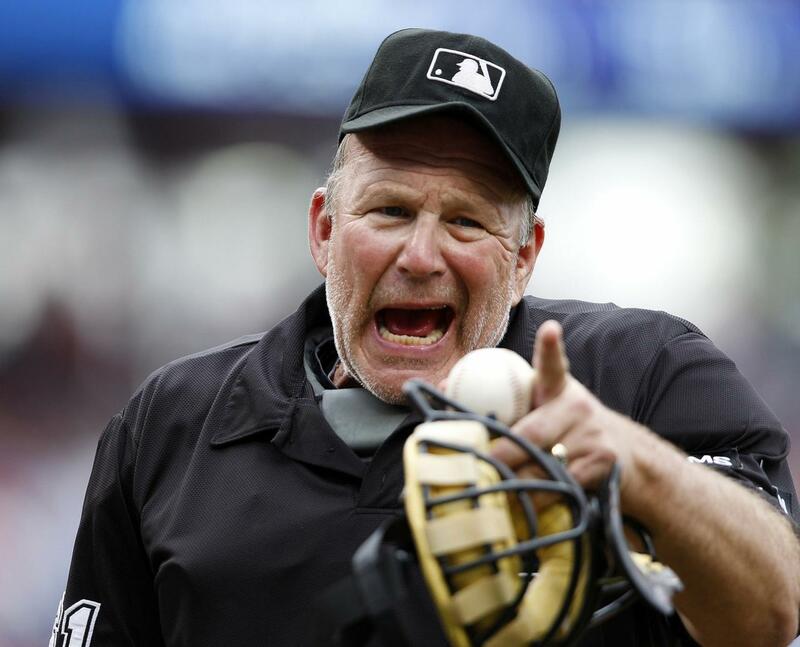 First, a recap of the city of San Jose’s failed legal war against Major League Baseball. San Jose initially filed its lawsuit in June 2013, claiming that MLB violated antitrust laws by stopping Wolff’s plans to move the A’s to San Jose. Essentially, the suit sought to repeal MLB’s antitrust exemption, which allows the sport to ignore monopoly laws that govern all other industries in the United States. San Jose lost its first crack at the lawsuit when a U.S. district judge ruled against the city in late 2013. San Jose appealed the decision. Strike two came in January 2015, when the 9th U.S. Circuit Court of Appeals also ruled in favor of MLB. San Jose then appealed to the U.S. Supreme Court. But the Supreme Court only hears a fraction of the cases submitted to it. And Thursday’s announcement made it almost completely official that the court will NOT hear San Jose’s case. At all. San Jose chose the nuclear option — a lawsuit that angered other owners and MLB officials — and lost. So San Jose not only lost its all-in bet, it also made its name mud in the eyes of MLB, making it very unlikely the South Bay will ever get a MLB franchise. A’s owners have been trying to move the franchise to the South Bay since 1995. If it was going to happen at all, it would have happened by now. Well, now Wolff and Fisher are out of excuses. All San Jose options are officially exhausted. And Floyd Kephart and his vision for Coliseum City have been rejected. If Wolff and Fisher have a sincere plan for a new A’s ballpark in Oakland, now would be the time to submit it. A’s fans are all ears. If Wolff and Fisher don’t have a sincere plan to build a new Oakland park, then they should sell this storied franchise to someone who will.